My work has been featured once again in the world's largest news weekly magazine, Time - as principal illustrator for the magazine's prestigious annual 'Time 100' collectors issue. The centrepiece of my contribution is a half-page 'Rogues Gallery' featuring some of the most infamous and dangerous people on the planet. 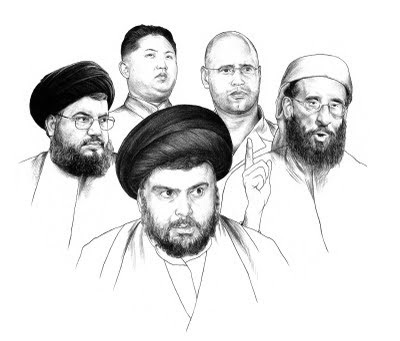 Clockwise from left; Hassan Nasrallah, Hezbollah leader; Kim Jong-un, heir presumptive to North Korea; Saif Gadaffi; Anwar al Awlaki, Al-Qaeda activist and Muqtada al Sadr, Iraqi cleric. 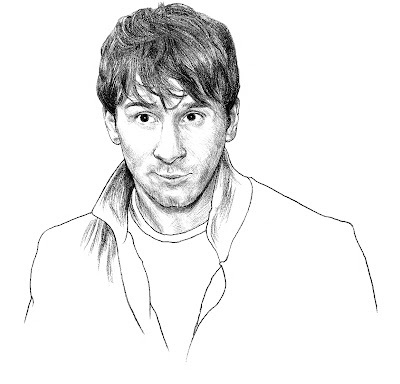 My portraits of a further 25 influential individuals are scattered elsewhere throughout the magazine - ranging from French fascist Marine Le Pen, to film star Matt Damon, via Kate and Wills and soccer star Lionel Messi (pictured above).